Email outreach is one of the most important steps in any marketing strategy. Whether it’s prospecting for new clients, promoting content, or conducting cold email outreach. But when push comes to shove, the hardest part is often overlooked. Most tactics tell you to conduct lead research and compile a list of prospects to email. But more often than not, simply researching a lead won’t result in a perfect list of emails. Finding someone’s email has become harder than ever. Most people won’t put their email on a public forum for fear of spam. And sometimes, you can’t just ask them. But you need their emails if you have any hope of conducting an effective outreach campaign. Thankfully, there are several different options that you can try. Here are six sneaky ways to find a prospect’s email address in no time. One of the most overlooked ways to find an email address is probably staring you right in the face. I never thought that LinkedIn could provide the emails of cold prospects. But one day, I was browsing LinkedIn and compiling a few targets for a segmented cold outreach campaign. I was solely researching their interests and pain points when I noticed that dozens of them put their emails on public display on LinkedIn. As you could probably guess, this came as a shock to me. But it’s true: Some prospects will put their emails directly on LinkedIn. You should see a dedicated email section within the social media profiles. This tactic can be hit or miss, but it’s worth a shot. It’s one of the fastest ways to pull up a verified, legitimate email address. If you don’t see an email address, don’t fret. We have you covered with a few more guaranteed ways to find your prospects’ emails. Can’t find your prospect’s email address on their LinkedIn profile? Tools are the name of the game when it comes to email prospecting. Basic LinkedIn searches can net quick, easy emails. And when it doesn’t, you can’t simply give up and move on to the next one. LinkedIn inMail isn’t going to cut it for outreach. 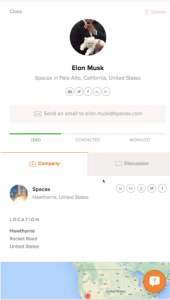 It’s a free, Chrome-based extension that allows you to find anyone’s email address based on their social profiles. 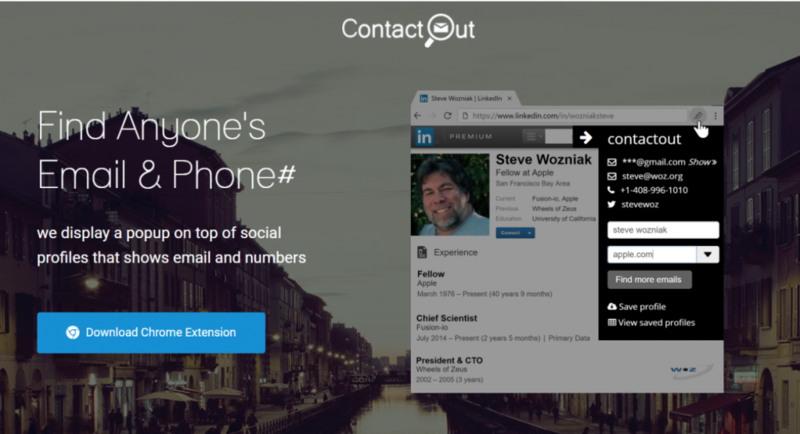 30% of recruiters in Fortune 500 companies use ContactOut. 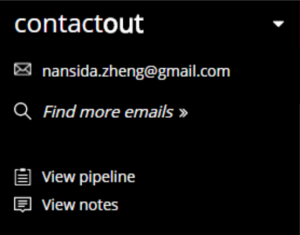 And according to ContactOut, you can generate 2x the responses in 85% less time with their tool. All of their emails are vetted, too. They’re triple-verified and are 97% accurate. That’s pretty amazing for a free prospecting tool. You can export that information directly into a Google Sheet for later reference and automation. To get started, head to ContactOut and download the plugin. Install it on your Chrome browser and head to a prospect’s profile on LinkedIn. If you click “Find more emails,” you can do a second search beyond just their personal email. This is one of the best email prospecting tools on the web today. 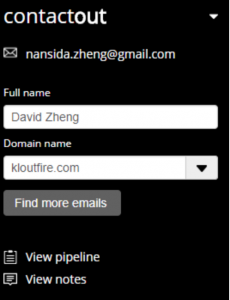 Once you’ve conducted your email prospecting, you can click “View pipeline” on the plugin to head back to your dashboard. 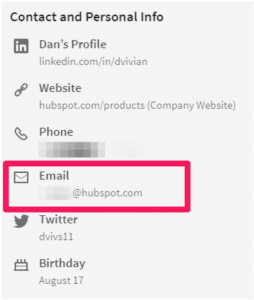 Simply hit “Export leads,” and you have a perfect list of contacts ready for you to email. What if you have almost no information on a prospect? All you know is their company website and name. This is a common occurrence in email outreach. You’re browsing a company website, and you scroll to the “About” page. You notice that there’s a list of every individual in the company, including C-suite executives. But you can’t find them on LinkedIn. Maybe they don’t have accounts. Maybe they’re private. But you need their emails. Fast. Using Voila Norbert, all you need is a full name and company website. To get started, create your free account and get 50 free lead searches. Enter their first and last name into the first search bar. Next, type in their company website. When you’re ready, hit the “Go Ahead, Norbert!” button, and it will find a verified email address for you. But Voila Norbert is more than just an email prospecting tool. It has lots of other great features, too. It will add each new email prospect as a “Lead” in your funnel. You can even create segmented lists based on your goals. For example, is this prospect for content promotion? Create a separate list and add them to it. Then use that list to automate email campaigns. One of the lesser known tricks in the industry is subscribing to a prospect’s newsletter. Not only will you get their email address, but you’ll also gain valuable insights to leverage. Plus, they’ll probably check to see if you actually follow them. Being genuine is critical in email outreach. If you’re lying to prospects and being disingenuous, you’re setting yourself up for a disaster. Personalization works best when it’s sincere. For example, telling a prospect that you liked their latest blog post and used it to improve your own business. That’s not something to lie about. It’s something that you should want to achieve. And you can directly accomplish that by tapping into a prospect’s newsletter. Now, this tactic obviously won’t work for everyone on your list. This tactic is best served for your highest-value prospects. The ones that could send your business to new heights. To implement this tactic, head to your prospect’s site and sign up for their newsletter or input your email anywhere you can. That could be for anything, such as an e-book, a newsletter, or any form of lead magnet. Now, you simply play the waiting game. For example, I recently signed up for a checklist lead magnet on AdEspresso. This is an effective way to collect emails from your high-value targets while also gathering insights. Leverage the lead magnet you downloaded to genuinely email your prospect and use it as an introductory talking point. By doing so, you’re showing that you actually care about the prospect and the content or offerings they create. It’s an effective one-two punch to get your prospect to respond fast. Arguably the best search engine in existence. Most people neglect it when it comes to email outreach. But it’s actually one of the best tools around. If someone’s email is listed online, you can find it quickly with a Google search. This obvious and simple method is seriously underrated and forgotten. Google knows our website content. Meaning if an email is out there on the world wide web, it’ll find it. To get started, you’ll need a specific Google search. Adding their company name will help you narrow down the search results dramatically. If that doesn’t work, try replacing “email” with the “@” symbol. Keep tweaking your searches until you find the email you’re looking for. Remember that if you can’t find it, you have other tools at your disposal. You can also use this tactic as a verification tool. Search your prospect’s email on Google to see what comes up. If their email and company show up, you’re on the right track to perfecting your outreach list. Sometimes that’s all you have to do. Prospects aren’t these scary, mythical beings that you can’t approach. Most people are genuinely eager to learn more about you and your business. If you focus on building relationships, all you have to do is politely ask for their email. Whether on a social media direct message or over the phone, just asking can often net amazing results. And more often than not, it’s actually more natural. You aren’t intimidating or scaring the prospect by sending them an email out of the blue. Here’s a specific outreach message that I’ve used many times to get the conversation started and collect emails by just asking. We’ve been connected on [social media platform] for a while now. Your content is always top notch! Loved that last post on [post topic]. I actually just covered something similar, so it was great to get your take on it too. Any chance that I could email you about it more? I’d love to connect on [pain point / topic]. This template excels at showing genuine and sincere interest in the prospect and their content. 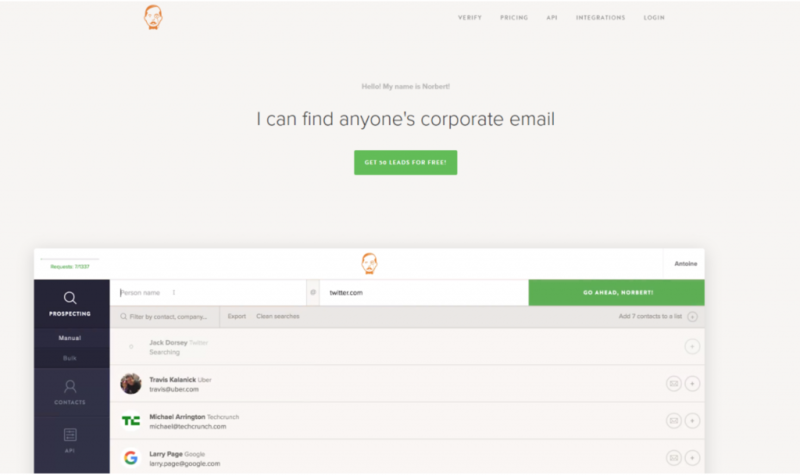 Give it a shot today to collect emails that you simply can’t find with other methods. Or, use it as a conversation starter instead of a cold email that can be awkward or annoying. You can use it to promote new content, capture new leads, and drive more sales. You often need an email address that you haven’t collected and isn’t currently accessible to you. And without an email, you don’t have a cold outreach strategy. Thankfully, there are a few sneaky ways to find your prospects’ emails. Start with a basic LinkedIn search. While it may not be the be-all and end-all of your email collection strategy, it’s a great place to start. 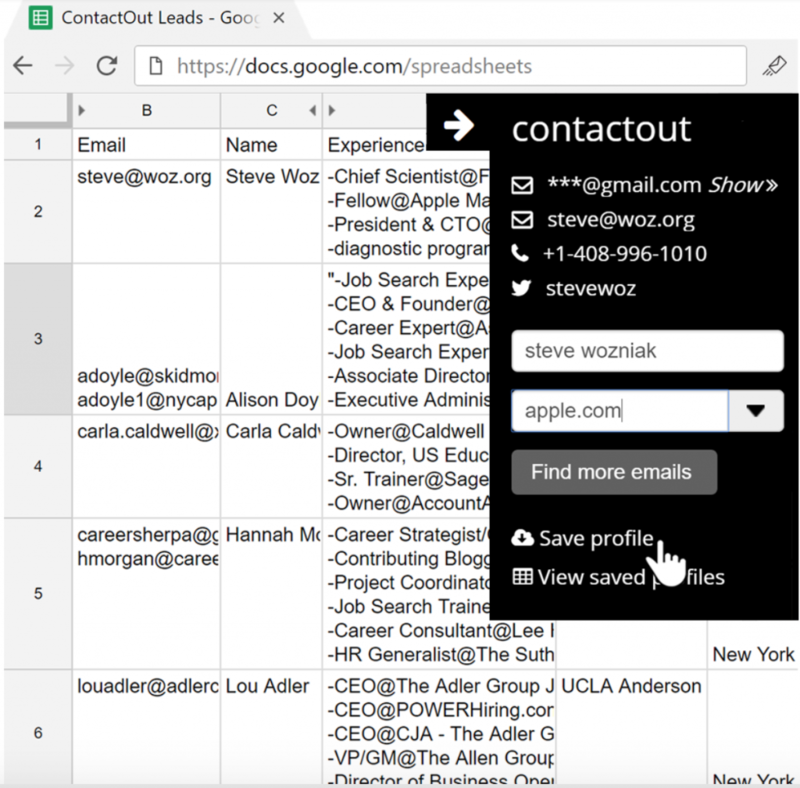 Next, download the ContactOut plugin for Google Chrome. It’s a free, reliable prospecting tool that gets the job done fast. If that doesn’t work, give Voila Norbert a shot. All you need is a name and company website to generate emails. You can even directly search on Google or direct message someone on social media. Implement these sneaky email prospecting tactics to get a perfect list of emails fast. Hi Ajay! Thanks for the great article. I added the plugin and it’s wonderful! Another great way that works is to go onto Twitter’s advanced search! Some of our prospects hang out and loom around Twitter and have accounts made with an active email they would actually check daily and, might just open your cold email!